White 2015 Toyota Corolla S Plus FWD CVT 1.8L I4 DOHC Dual VVT-i TOYOTA CERTIFIED, CARFAX ONE OWNER.Recent Arrival! Odometer is 6065 miles below market average! 29/37 City/Highway MPGAwards: * 2015 KBB.com 5-Year Cost to Own Awards * 2015 KBB.com 10 Tech-Savviest Cars Under $20,000 * 2015 KBB.com 10 Most Affordable Cars * 2015 KBB.com 10 Best UberX CandidatesWHY CHOOSE CULVER CITY TOYOTA? SIMPLE - we choose volume sales over large profit margins! Our Certified Pre-Owned Toyotas and every pre-owned vehicle passes inspection or we don't sell it!! Our Service Department is filled with Toyota Master Technicians who care, our Parts Department is fully stocked, we offer a free shuttle during your service, free Wi-Fi in our Customer Lounge. Ken Garff founded his automotive business over 81 years ago in downtown Salt Lake upon principles of honesty, integrity, and personalized customer service. (855) 584-5288 At Culver City Toyota, WE HEAR YOU! Certified. Gray 2015 Toyota Corolla S Plus FWD CVT 1.8L I4 DOHC Dual VVT-i TOYOTA CERTIFIED, CARFAX ONE OWNER.Recent Arrival! Odometer is 22529 miles below market average! 29/37 City/Highway MPGToyota Certified Used Vehicles Details: * Powertrain Limited Warranty: 84 Month/100,000 Mile (whichever comes first) from original in-service date * Vehicle History * Roadside Assistance * 160 Point Inspection * Transferable Warranty * Warranty Deductible: $50 * Limited Comprehensive Warranty: 12 Month/12,000 Mile (whichever comes first) from certified purchase date. Roadside Assistance for 1 YearAwards: * 2015 KBB.com 10 Best UberX Candidates * 2015 KBB.com 5-Year Cost to Own Awards * 2015 KBB.com 10 Tech-Savviest Cars Under $20,000 * 2015 KBB.com 10 Most Affordable CarsWHY CHOOSE CULVER CITY TOYOTA? SIMPLE - we choose volume sales over large profit margins! Our Certified Pre-Owned Toyotas and every pre-owned vehicle passes inspection or we don't sell it!! Our Service Department is filled with Toyota Master Technicians who care, our Parts Department is fully stocked, we offer a free shuttle during your service, free Wi-Fi in our Customer Lounge. Ken Garff founded his automotive business over 81 years ago in downtown Salt Lake upon principles of honesty, integrity, and personalized customer service. (855) 584-5288 At Culver City Toyota, WE HEAR YOU! Brown 2016 Toyota Corolla LE FWD CVT 1.8L I4 DOHC Dual VVT-i TOYOTA CERTIFIED, CARFAX ONE OWNER.Recent Arrival! 29/38 City/Highway MPGAwards: * 2016 KBB.com 5-Year Cost to Own Awards * 2016 KBB.com Best Buy Awards FinalistWHY CHOOSE CULVER CITY TOYOTA? SIMPLE - we choose volume sales over large profit margins! Our Certified Pre-Owned Toyotas and every pre-owned vehicle passes inspection or we don't sell it!! Our Service Department is filled with Toyota Master Technicians who care, our Parts Department is fully stocked, we offer a free shuttle during your service, free Wi-Fi in our Customer Lounge. Ken Garff founded his automotive business over 81 years ago in downtown Salt Lake upon principles of honesty, integrity, and personalized customer service. (855) 584-5288 At Culver City Toyota, WE HEAR YOU! Certified. White 2018 Toyota Corolla LE FWD CVT 1.8L I4 DOHC Dual VVT-i TOYOTA CERTIFIED, CARFAX ONE OWNER.Recent Arrival! 28/36 City/Highway MPGToyota Certified Used Vehicles Details: * Transferable Warranty * Powertrain Limited Warranty: 84 Month/100,000 Mile (whichever comes first) from original in-service date * Roadside Assistance * Limited Comprehensive Warranty: 12 Month/12,000 Mile (whichever comes first) from certified purchase date. Roadside Assistance for 1 Year * Warranty Deductible: $50 * 160 Point Inspection * Vehicle HistoryWHY CHOOSE CULVER CITY TOYOTA? SIMPLE - we choose volume sales over large profit margins! Our Certified Pre-Owned Toyotas and every pre-owned vehicle passes inspection or we don't sell it!! Our Service Department is filled with Toyota Master Technicians who care, our Parts Department is fully stocked, we offer a free shuttle during your service, free Wi-Fi in our Customer Lounge. Ken Garff founded his automotive business over 81 years ago in downtown Salt Lake upon principles of honesty, integrity, and personalized customer service. (855) 584-5288 At Culver City Toyota, WE HEAR YOU! Silver 2018 Toyota Corolla LE FWD CVT 1.8L I4 DOHC Dual VVT-i TOYOTA CERTIFIED, CARFAX ONE OWNER, BACKUP CAMERA, ABS brakes, Active Cruise Control, Electronic Stability Control, Heated door mirrors, Illuminated entry, Low tire pressure warning, Remote keyless entry, Traction control.Recent Arrival! 28/36 City/Highway MPGWHY CHOOSE CULVER CITY TOYOTA? SIMPLE - we choose volume sales over large profit margins! Our Certified Pre-Owned Toyotas and every pre-owned vehicle passes inspection or we don't sell it!! Our Service Department is filled with Toyota Master Technicians who care, our Parts Department is fully stocked, we offer a free shuttle during your service, free Wi-Fi in our Customer Lounge. Ken Garff founded his automotive business over 81 years ago in downtown Salt Lake upon principles of honesty, integrity, and personalized customer service. (855) 584-5288 At Culver City Toyota, WE HEAR YOU! Gray 2016 Toyota Corolla L FWD CVT I4 TOYOTA CERTIFIED, CARFAX ONE OWNER, ABS brakes, Electronic Stability Control, Illuminated entry, Low tire pressure warning, Traction control.Recent Arrival!Awards: * 2016 KBB.com Best Buy Awards Finalist * 2016 KBB.com 5-Year Cost to Own AwardsWHY CHOOSE CULVER CITY TOYOTA? SIMPLE - we choose volume sales over large profit margins! Our Certified Pre-Owned Toyotas and every pre-owned vehicle passes inspection or we don't sell it!! Our Service Department is filled with Toyota Master Technicians who care, our Parts Department is fully stocked, we offer a free shuttle during your service, free Wi-Fi in our Customer Lounge. Ken Garff founded his automotive business over 81 years ago in downtown Salt Lake upon principles of honesty, integrity, and personalized customer service. (855) 584-5288 At Culver City Toyota, WE HEAR YOU! Gray 2016 Toyota Camry SE FWD 6-Speed Automatic 2.5L I4 SMPI DOHC TOYOTA CERTIFIED, CARFAX ONE OWNER.Recent Arrival! Odometer is 3310 miles below market average! 25/35 City/Highway MPGAwards: * 2016 KBB.com 5-Year Cost to Own Awards * 2016 KBB.com 10 Best UberX Candidates * 2016 KBB.com Best Buy Awards Finalist * 2016 KBB.com 10 Most Awarded Cars * 2016 KBB.com 10 Best Sedans Under $25,000 * 2016 KBB.com 10 Most Comfortable Cars Under $30,000WHY CHOOSE CULVER CITY TOYOTA? SIMPLE - we choose volume sales over large profit margins! Our Certified Pre-Owned Toyotas and every pre-owned vehicle passes inspection or we don't sell it!! Our Service Department is filled with Toyota Master Technicians who care, our Parts Department is fully stocked, we offer a free shuttle during your service, free Wi-Fi in our Customer Lounge. Ken Garff founded his automotive business over 81 years ago in downtown Salt Lake upon principles of honesty, integrity, and personalized customer service. (855) 584-5288 At Culver City Toyota, WE HEAR YOU! Silver 2015 Toyota Camry SE FWD 6-Speed Automatic 2.5L I4 SMPI DOHC TOYOTA CERTIFIED, CARFAX ONE OWNER.Recent Arrival! Odometer is 10872 miles below market average! 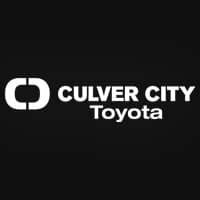 25/35 City/Highway MPGAwards: * 2015 KBB.com 15 Best Family Cars * 2015 KBB.com 10 Best Sedans Under $25,000WHY CHOOSE CULVER CITY TOYOTA? SIMPLE - we choose volume sales over large profit margins! Our Certified Pre-Owned Toyotas and every pre-owned vehicle passes inspection or we don't sell it!! Our Service Department is filled with Toyota Master Technicians who care, our Parts Department is fully stocked, we offer a free shuttle during your service, free Wi-Fi in our Customer Lounge. Ken Garff founded his automotive business over 81 years ago in downtown Salt Lake upon principles of honesty, integrity, and personalized customer service. (855) 584-5288 At Culver City Toyota, WE HEAR YOU! Certified. Gray 2016 Toyota Corolla S FWD CVT I4 TOYOTA CERTIFIED, CARFAX ONE OWNER, ABS brakes, Electronic Stability Control, Illuminated entry, Low tire pressure warning, Traction control.Recent Arrival! Odometer is 10260 miles below market average!Toyota Combined Details: * Transferable Warranty * Warranty Deductible: $50 * 160 Point Inspection (for Toyota Certified Used Vehicles program), 174 Point Inspection (for Toyota Certified Used Hybrids program) * Vehicle History * Roadside Assistance * Powertrain Limited Warranty: 84 Month/100,000 Mile (whichever comes first) from original in-service date * Limited Comprehensive Warranty: 12 Month/12,000 Mile (whichever comes first) from certified purchase date. Roadside Assistance for 1 Year (for Toyota Certified Used Vehicles program), Limited Comprehensive Warranty: 12 Month/12,000 Mile (whichever comes first) from certified purchase date. Battery 8 years/100,000 miles (whichever comes first) from original in-service date. Roadside Assistance for 1 Year (for Toyota Certified Used Hybrids program)Awards: * 2016 KBB.com Best Buy Awards Finalist * 2016 KBB.com 5-Year Cost to Own AwardsWHY CHOOSE CULVER CITY TOYOTA? SIMPLE - we choose volume sales over large profit margins! Our Certified Pre-Owned Toyotas and every pre-owned vehicle passes inspection or we don't sell it!! Our Service Department is filled with Toyota Master Technicians who care, our Parts Department is fully stocked, we offer a free shuttle during your service, free Wi-Fi in our Customer Lounge. Ken Garff founded his automotive business over 81 years ago in downtown Salt Lake upon principles of honesty, integrity, and personalized customer service. (855) 584-5288 At Culver City Toyota, WE HEAR YOU! Black 2016 Toyota Camry SE FWD 6-Speed Automatic 2.5L I4 SMPI DOHC TOYOTA CERTIFIED, CARFAX ONE OWNER.Recent Arrival! 25/35 City/Highway MPGAwards: * 2016 KBB.com 10 Best Sedans Under $25,000 * 2016 KBB.com Best Buy Awards Finalist * 2016 KBB.com 10 Most Awarded Cars * 2016 KBB.com 10 Most Comfortable Cars Under $30,000 * 2016 KBB.com 10 Best UberX Candidates * 2016 KBB.com 5-Year Cost to Own AwardsWHY CHOOSE CULVER CITY TOYOTA? SIMPLE - we choose volume sales over large profit margins! Our Certified Pre-Owned Toyotas and every pre-owned vehicle passes inspection or we don't sell it!! Our Service Department is filled with Toyota Master Technicians who care, our Parts Department is fully stocked, we offer a free shuttle during your service, free Wi-Fi in our Customer Lounge. Ken Garff founded his automotive business over 81 years ago in downtown Salt Lake upon principles of honesty, integrity, and personalized customer service. (855) 584-5288 At Culver City Toyota, WE HEAR YOU! Black 2016 Toyota Camry Hybrid LE FWD eCVT 2.5L I4 Hybrid DOHC TOYOTA CERTIFIED, CARFAX ONE OWNER.Recent Arrival! 43/39 City/Highway MPGWHY CHOOSE CULVER CITY TOYOTA? SIMPLE - we choose volume sales over large profit margins! Our Certified Pre-Owned Toyotas and every pre-owned vehicle passes inspection or we don't sell it!! Our Service Department is filled with Toyota Master Technicians who care, our Parts Department is fully stocked, we offer a free shuttle during your service, free Wi-Fi in our Customer Lounge. Ken Garff founded his automotive business over 81 years ago in downtown Salt Lake upon principles of honesty, integrity, and personalized customer service. (855) 584-5288 At Culver City Toyota, WE HEAR YOU! Certified. White 2018 Toyota Camry LE FWD 8-Speed Automatic 2.5L I4 DOHC 16V TOYOTA CERTIFIED, CARFAX ONE OWNER.Recent Arrival! 28/39 City/Highway MPGToyota Certified Used Vehicles Details: * Roadside Assistance * Transferable Warranty * Vehicle History * Powertrain Limited Warranty: 84 Month/100,000 Mile (whichever comes first) from original in-service date * 160 Point Inspection * Warranty Deductible: $50 * Limited Comprehensive Warranty: 12 Month/12,000 Mile (whichever comes first) from certified purchase date. Roadside Assistance for 1 YearWHY CHOOSE CULVER CITY TOYOTA? SIMPLE - we choose volume sales over large profit margins! Our Certified Pre-Owned Toyotas and every pre-owned vehicle passes inspection or we don't sell it!! Our Service Department is filled with Toyota Master Technicians who care, our Parts Department is fully stocked, we offer a free shuttle during your service, free Wi-Fi in our Customer Lounge. Ken Garff founded his automotive business over 81 years ago in downtown Salt Lake upon principles of honesty, integrity, and personalized customer service. (855) 584-5288 At Culver City Toyota, WE HEAR YOU! Black 2016 Toyota Camry XSE FWD 6-Speed Automatic 2.5L I4 SMPI DOHC TOYOTA CERTIFIED, CARFAX ONE OWNER.Recent Arrival! Odometer is 22941 miles below market average! 25/35 City/Highway MPGAwards: * 2016 KBB.com 10 Best Sedans Under $25,000 * 2016 KBB.com 10 Best UberX Candidates * 2016 KBB.com Best Buy Awards Finalist * 2016 KBB.com 10 Most Awarded Cars * 2016 KBB.com 5-Year Cost to Own Awards * 2016 KBB.com 10 Most Comfortable Cars Under $30,000WHY CHOOSE CULVER CITY TOYOTA? SIMPLE - we choose volume sales over large profit margins! Our Certified Pre-Owned Toyotas and every pre-owned vehicle passes inspection or we don't sell it!! Our Service Department is filled with Toyota Master Technicians who care, our Parts Department is fully stocked, we offer a free shuttle during your service, free Wi-Fi in our Customer Lounge. Ken Garff founded his automotive business over 81 years ago in downtown Salt Lake upon principles of honesty, integrity, and personalized customer service. (855) 584-5288 At Culver City Toyota, WE HEAR YOU! Certified. Blue 2018 Toyota Camry LE FWD 8-Speed Automatic 2.5L I4 DOHC 16V TOYOTA CERTIFIED, CARFAX ONE OWNER.Recent Arrival! 28/39 City/Highway MPGToyota Certified Used Vehicles Details: * Warranty Deductible: $50 * 160 Point Inspection * Vehicle History * Powertrain Limited Warranty: 84 Month/100,000 Mile (whichever comes first) from original in-service date * Roadside Assistance * Limited Comprehensive Warranty: 12 Month/12,000 Mile (whichever comes first) from certified purchase date. Roadside Assistance for 1 Year * Transferable WarrantyWHY CHOOSE CULVER CITY TOYOTA? SIMPLE - we choose volume sales over large profit margins! Our Certified Pre-Owned Toyotas and every pre-owned vehicle passes inspection or we don't sell it!! Our Service Department is filled with Toyota Master Technicians who care, our Parts Department is fully stocked, we offer a free shuttle during your service, free Wi-Fi in our Customer Lounge. Ken Garff founded his automotive business over 81 years ago in downtown Salt Lake upon principles of honesty, integrity, and personalized customer service. (855) 584-5288 At Culver City Toyota, WE HEAR YOU!